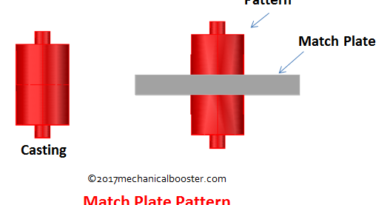 How Electron Beam Machining Process Works? Electron Beam Machining is process in which high velocity electrons are concentrated in a narrow beam and then directed towards the workpiece for machining. When this high velocity electron strikes the workpiece, it melts and vaporizes the material from the workpiece. 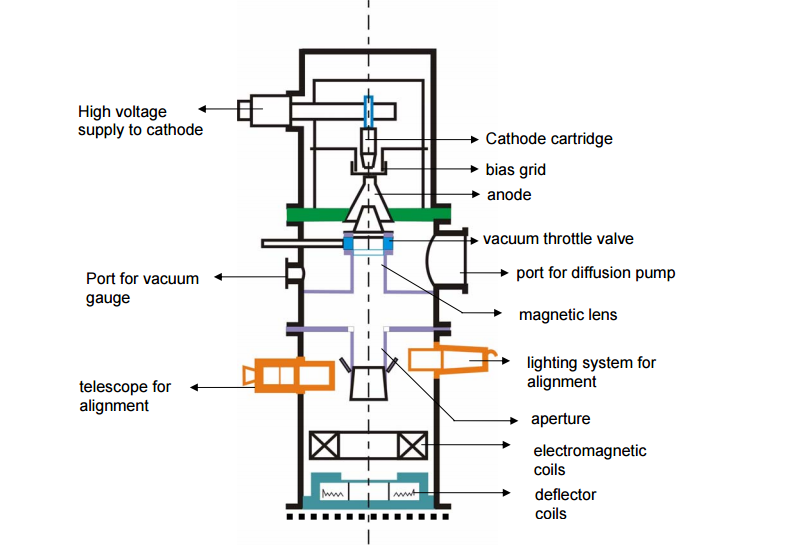 In an electron beam machining, the electrons strike the workpiece with a high velocity. As the electron strikes the workpiece, the kinetic energy of the electron changes into heat energy. 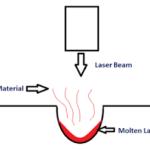 The heat energy so produced is used to melt and vaporize the materials from the w/p. The whole process takes place in vacuum. Vacuum environment is used to prevent the contamination and avoid collision of electrons with air molecules. If the electrons collide with the air molecules, it will lost its Kinetic energy. The cathode is negatively charged and it is used to produce Electrons. It is present next to the cathode. Annular bias grid is a circular shaped bias grid and prevents the diversion of electrons produced by the cathode. It works as a switch and makes the electron gun to operate in pulse mode. It is placed after the annular bias grid. It is positively charged. Annular anode attracts the beam of electron towards it and gradually the velocity of the electron increases. As the electron beam leave the anode section, its velocity becomes half of the velocity of light. The magnetic lenses reduce the divergence of electron beam and shape them. It allows only convergent electrons to pass and captures the low energy divergent electrons from fringes. It improves the quality of the beam. It helps the Electron beam to focus on the desired spot. The deflector coil carefully guides the high velocity electron beam to a desired location on the workpiece and improves the shape of the holes. In EBM, first the electron is generated by the cathode and an annular biased grid does not allows the electron to diverge. From the annular bias grid, the electron produced by the cathode is attracted towards the anode and gradually its velocity increases. As the electron beam leaves the anode section, its velocity reaches to half of the velocity of the light. After that, it passes to the series of magnetic lenses. The magnetic lenses allows only convergent beam to pass through it and captures the divergent beam from the fringes. And then a high quality electron beam is made to pass through the electromagnetic lens and deflector coils. The electromagnetic lens focuses the electron beam to the desired spot on the workpiece. The deflector carefully guides the beam to the desired locations and improves the shape hole. (i) The Electron Beam machine is operated in pulse mode and this is achieved by the biasing annular biased grid. (ii) The beam current can be as low as 200 μamp to 1 amp. (iii) The pulse duration achieved in the EBM machine is 50 μs to 15 ms.
(iv) The energy possessed by the pulse is 100 j/pulse. (v) It utilizes voltage in the range of 150 kV to 200 kV. And this voltage is used to accelerate Electrons to about 200,000km/s. It can produce bolts of small sizes. High accuracy and better surface finish. 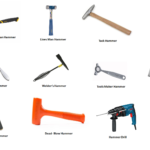 Almost all types of materials can be machined. 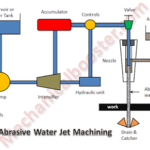 Highly reactive metals such as Al and Mg can be machined easily. 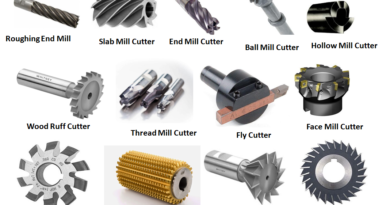 As it does not apply any mechanical cutting forces on the workpiece, so cost of work holding and fixtures is reduced. High skilled operator is required. 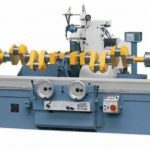 Not applicable to produce perfectly cylindrical deep holes. Electron Beam Machining is used to produce smaller size holes in various industries like automobile, aerospace, marine etc. ← What is Stress Concentration – Definition, Causes, effects and Prevention? 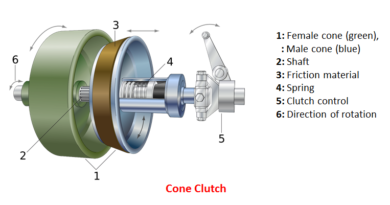 What is Cone Clutch and How it Works?